When Swiss legends Coroner released their Noise records debut RIP in 1987 they were already known to the thrash underground because of their Celtic Frost connection. In fact, one cannot discuss the origin and early days of Coroner without mentioning their fellow countrymen. 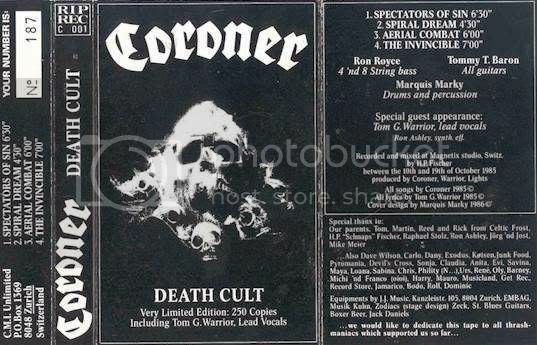 The reasons for this are two-fold: Tom G Warrior sang on three of four songs of Coroner's famous Death Cult demo, and two members of the band (Marquis Marky and Tommy T Baron) worked as roadies for Frost in the US. It is a common mistake to state that Coroner, completed by Ron Royce worked full-time as roadies for Celtic Frost before forming Coroner. The truth of the matter is that Marky and Baron, whilst employed by Frost as roadies for the Tragic Serenades American tour also used it for self-promotion, handing out copies of the already recorded Death Cult demo to various contacts. Ironic then, that Noise head honcho Karl Walterbach, slightly miffed that the lead singer from one of his top-selling bands appeared on the demo without his permission refused to sign them. 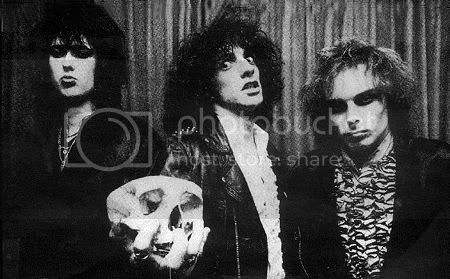 It was only after Coroner recorded a second demo with Royce on vocals that he quickly (less than 24-hours later, the story goes) offered them a deal. And so, in March 1987 the Zurich trio entered the ever-popular Music-Lab studios in Berlin with go-to producer Harris Johns to record their debut, the brilliant RIP. Interest was already high due to the famed demo with Warrior on vocals, so when RIP was released it was snatched up and consumed by hungry thrash/death metal heads everywhere. If, as was the consensus back then the demo sounded like Celtic Frost, and it was hardly surprising that it did, then the album did not. Granted one or two riffs may have escaped the self-censoring Coroner of any similarity to CF, but on release, the band made pains to deny that they were a Frost carbon copy. "Sure, the demo lay in that direction," stated Royce for a Metal Hammer interview, "but that was only because Tom G. Warrior was heavily involved in the demo and sang on it. But on the album, things will be quite different. The only thing that links Frost and us together are the lyrics." After the obligatory soft/melodic intro, Reborn Through Hate blasts from your speakers and its evident that Coroner sound nothing like Celtic Frost. 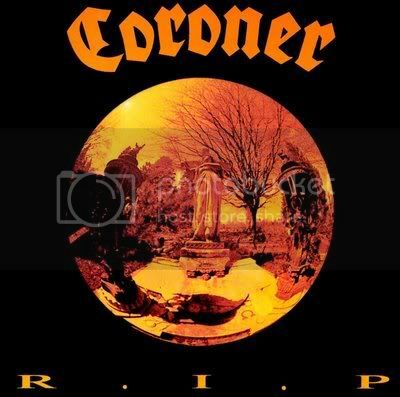 Coroner was faster, for starts, and far more accomplished musicians than their Swiss counterparts, something which they would go on to prove in latter albums. If anything, RIP sounds like Deathrow's Raging Steel than Frost's To Mega Therion, and by that I refer to the thick, warm production, not to mention blasting, zip-a-long riffs, rumbling drum rolls and swirling guitar solos. Almost complex in their song writing, RIP, though an in-you-face thrash record was pretty classy for a debut. It had a lot to live up to, yet it did so in spades. Tracks such as When Angels Die is an absolute monster, complete with semi male choir singing. Suicide Command races along like its life depends on it, the band in perfect harmony with one another, leads aplenty, drum rolls and bass stomping all over the place; this was amazing thrash back in 1987, coming across like Pleasure to Kill meets Metallica's Kill 'em All. The title track starts off ominously with echo-y affect before launching into a track of sheer brilliance; time changes all over this, in fact, one can hear Iron Maiden in this little ditty, for sure. Coma is a haunting epic, the lyrics regarding a fellow seeing those around him in a comatose state wondering if the plug is gonna be pulled; 'Child of the moon, coma of light/See myself from above, await a final decision'. They even had an instrumental called Nosferatu when only a few bands at the time were recording such. 'The Sentence is Death!' was the chorus from Fried Alive (no explanation necessary for this number) and album closer Totentaz bashes and thumps the listener with rollickin' good thrash and more adjectives than I can come up with. For those wanting excellent played Euro-thrash with complicated time changes and the speed of Slayer this album was a breath of fresh air indeed. The reviews were of course excellent, and the one I have (apart from Xavier Russell's gushing Mega Metal Kerrang! interview with the band) is from Oliver Klemm of Metal Hammer. He pointed out, as expected, the Tom G. Warrior connection, and then went on to say that "they still haven't found a singer for their band, so their bassist Ron Royce did the vocal parts on their debut album. His rough voice suits the musical style of the band who play 'very heavy death metal' according to their press info." While Klemm agreed with this, he also called Coroner "a speed metal band, but their songs seem very well thought out." This insightful and informative review (cough) ends with a "one can find occasional weaknesses on the album, but they are a newcomer band after all. A good 5 in my opinion." Coroner went on to record far more accomplished records in their career - see No More Colour - but RIP deserves a special mention in this column because the album was, as thrash metal albums go brilliant then, and remains brilliant today.